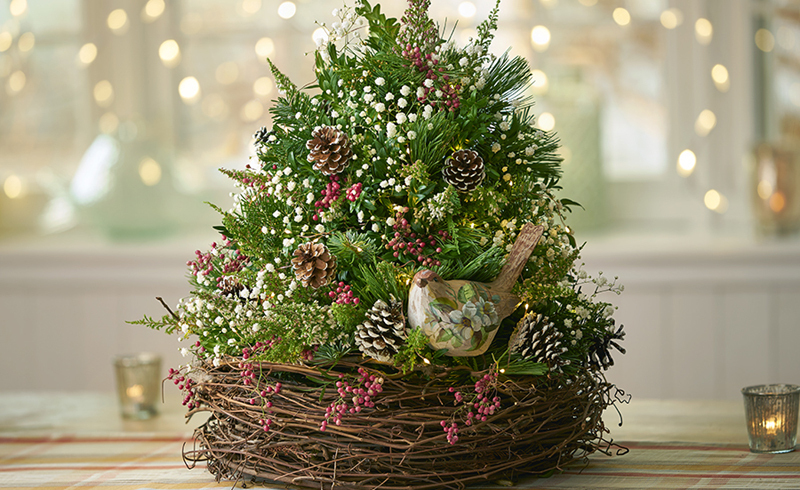 Start with a branch—such as manzanita—with a graceful, intricate silhouette. Suspend it with nearly invisible fishing line from C hooks screwed into the ceiling. Then just add the ornaments. 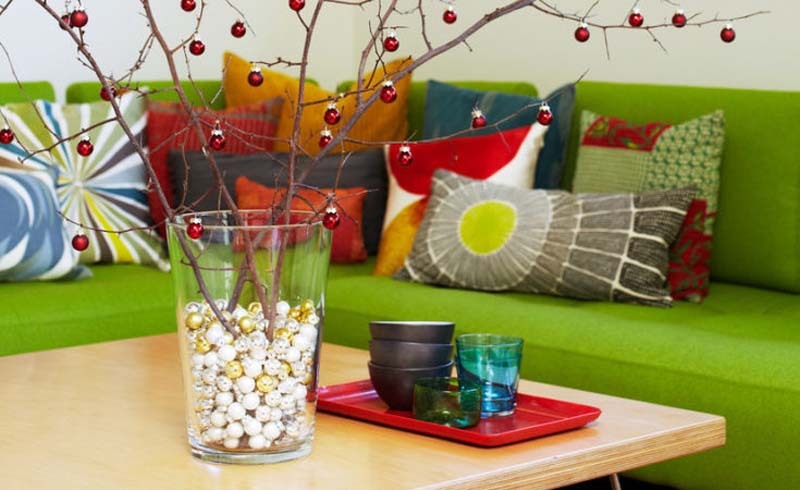 Instead of a traditional poinsettia, why not create a maintenance-free centerpiece? 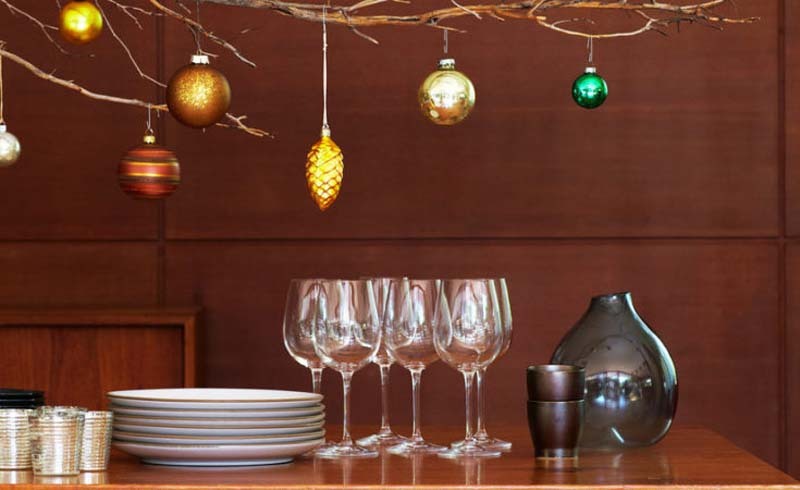 Fill a vase halfway with miniature glass ball ornaments, wedge in a few slender branches, and hang more minis on them. Whatever your home’s style, you have architectural features to take advantage of. 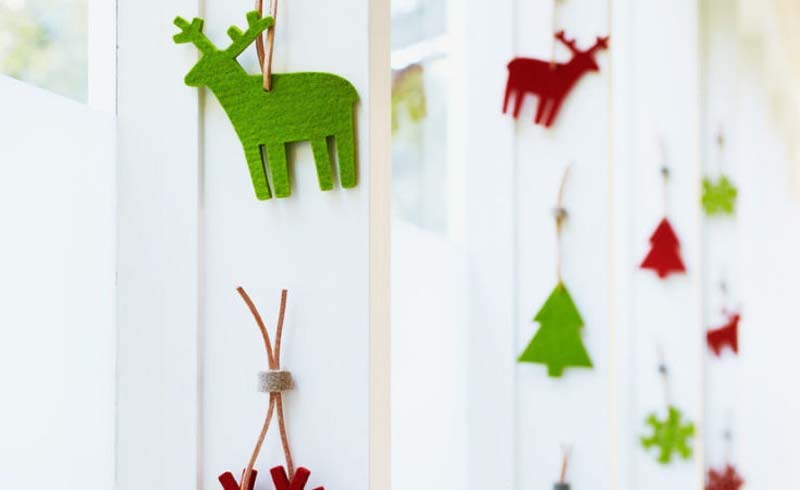 Here, given a hallway lined with windows, we hung ornaments on the window frames so that they’d fly by as you move along the corridor. 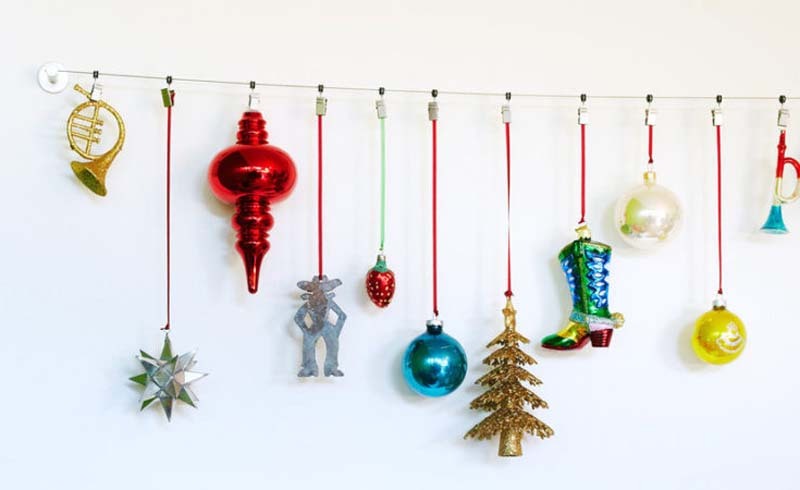 This wire curtain rail, usually holding children’s art, is just the spot for a mix of the ornaments you’ve amassed over the years. 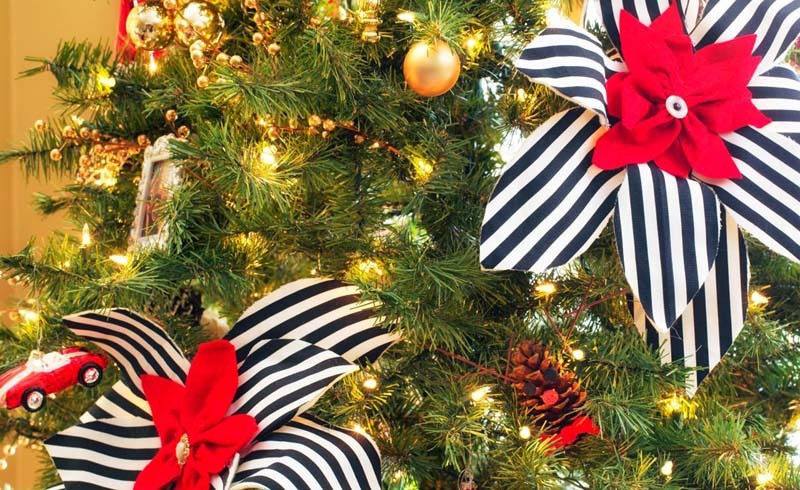 And instead of piling gifts under a tree, present them on a chair.